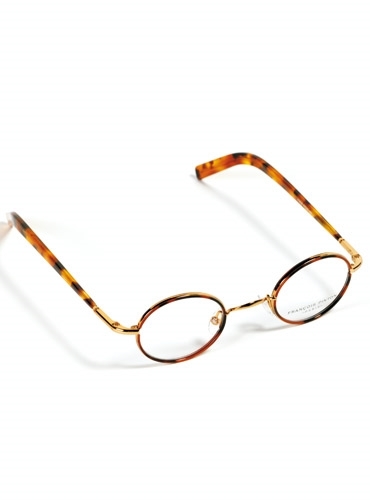 Traditional nearly oval wire frames from François Pinton of Paris, in unusual combinations of gilted or silver metal and tortoise, have a 41 mm lens and a 23 mm saddle shaped bridge, with the additional comfort of nose pads. 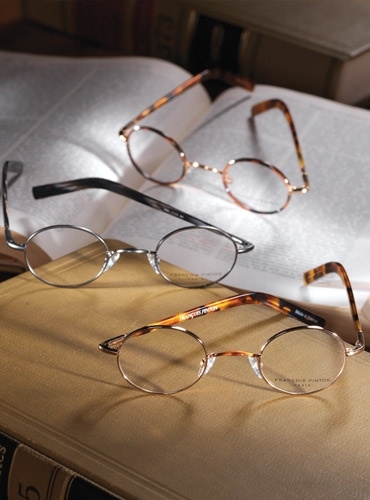 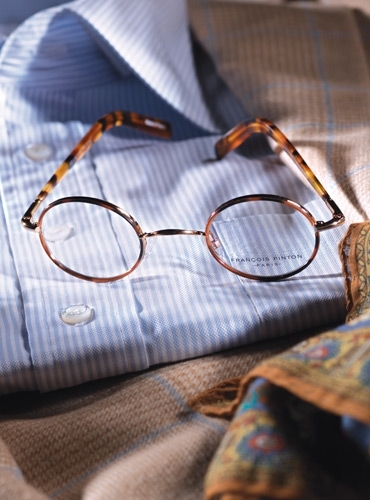 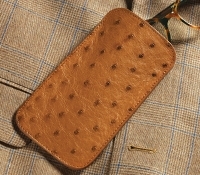 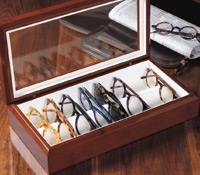 Shown here with tortoise oval, gold saddle bridge, and tortoise temples. 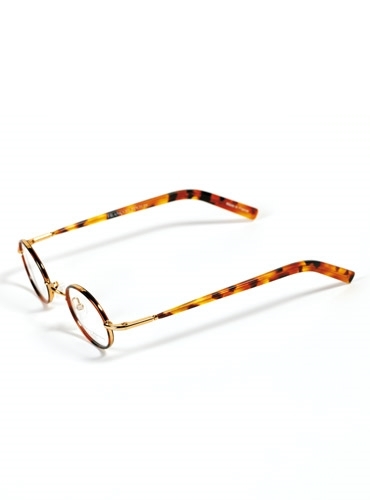 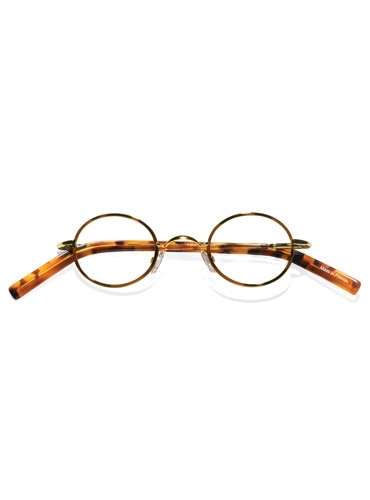 Also available: C-gilted metal oval with amber bridge and tortoise temples; E-silver metal throughout and black temples.